Gold in this morning’s trading is at $1,230.50, Silver is at $14.62. In the last week Gold has been able to withstand any downward pressure; when it has dropped below $1,230, it has bounced back. Dealers are hopeful that this is the new base and prices of all the metals will establish some upward momentum. Analysts are waiting for the outcome of the elections to signal the next major move. Teletype business continues to be dominated by bullion related coins with Eagles capturing most of the buy/sell activity. 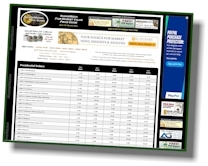 Proof Gold Eagles are now wholesaling at $1,270 per ounce in OGP. Proof Silver Eagles are right at $36 each. The latest Stack’s Bowers Galleries Auction, held in conjunction with the Whitman Baltimore Expo, included many rare by date and rare by grade coins. 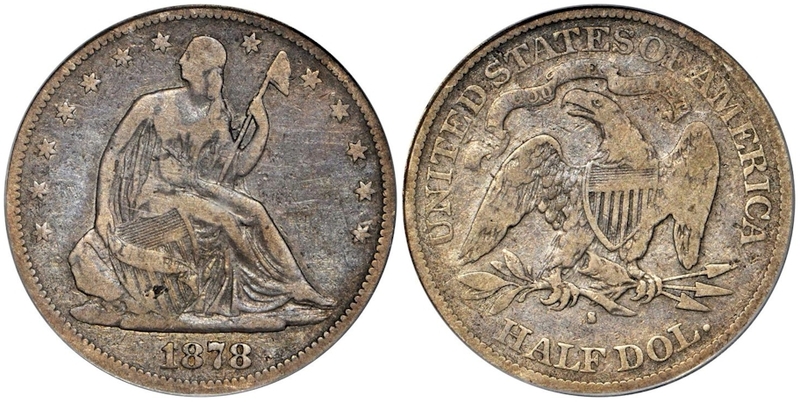 The 1878 S Seated Half Dollar has an original mintage of just 12,000 and is rare in all grades; there are only 22 coins certified in the circulated grades of G4 through AU58 and another 19 coins in all Mint State grades. The one in this sale was a PCGS F15 and it brought $42,000. 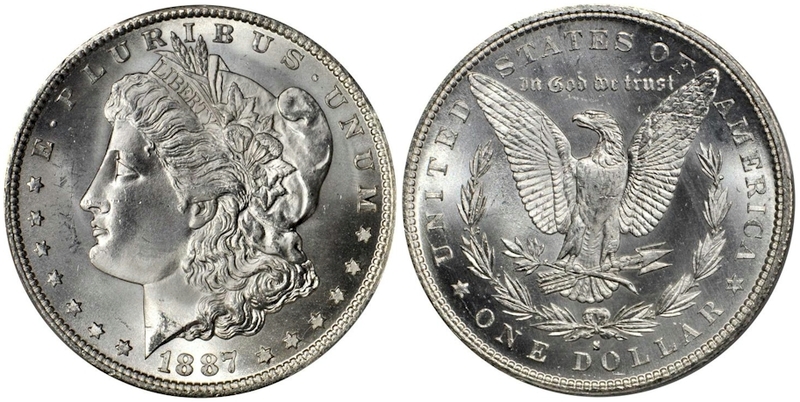 Registry collectors had an opportunity to acquire an 1887 S Morgan Dollar in PCGS MS66+ CAC which sold for $58,800. This date is readily available in MS65 and below, but in MS66 there are just 37 coins certified with only 4 coins that have the + designation. With the added CAC approval, a strong premium was required to obtain this rarity. 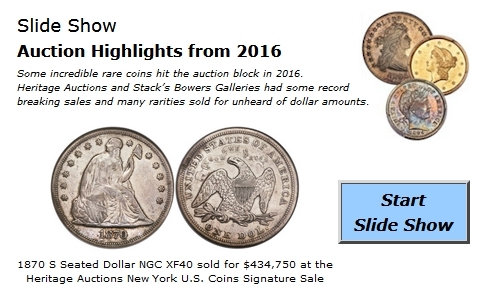 Below are some of the other highlights from the Stack’s Bowers Auction. Activity in this week’s LD Wholesale Market Dealer Price Guide is dominated by declines with scattered increases. Typically a collector favorite, many Early Lincoln Cents are trending downward. Buyers are currently looking for discounted coins, yet they still need to be nice for the grade. It is important to note that coins are trading if priced near current levels. Better date coins are in demand especially if there is a large jump of price in the next higher grade. The 1910 S in MS66 Red is down to $1,500 Market, which seems like a bargain compared to the MS67 value of $21,500. The 1915 S MS65 Red is lower at $5,425, while the MS66 is currently at $19,250; this date has only 11 coins certified in MS66 Red with none higher. Another date with a large spread between grades is the 1925 D MS65 Red which declined to $3,050, but the MS66 value is currently at $35,000. 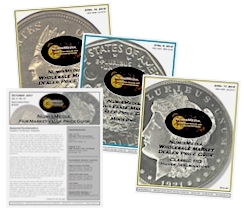 There are only 4 coins certified in MS66 Red, so Registry collectors need to be very competitive when trying to locate this highest grade.